Reacting to Sitharaman's visit to the area, the Chinese foreign ministry today said "the Sikkim section of the China-India border has been demarcated by the historical boundary"
Referring to the 1890 UK-China treaty which it claims demarcated the Sikkim sector of the Sino-Indian border, China on Sunday urged New Delhi to abide by its provisions, a day after Defence Minister Nirmala Sitharaman made her maiden visit to the Nathu La post. 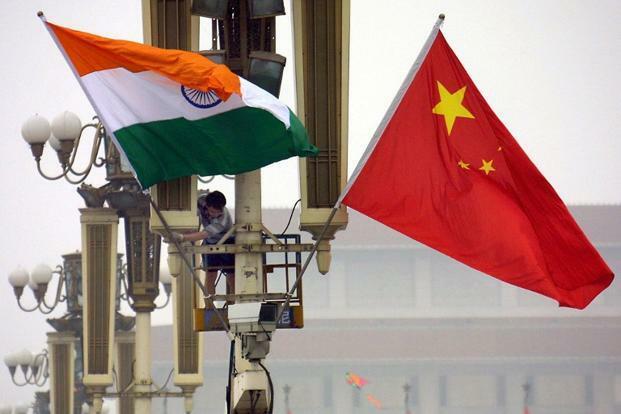 Reacting to Sitharaman's visit to the area, the Chinese foreign ministry today said "the Sikkim section of the China-India border has been demarcated by the historical boundary". The ministry did not directly name the 1890 Britain-China treaty which Beijing often referred to during the Dokalam standoff stating that it has defined the Sikkim section of the boundary with Tibet, therefore the border in that area has been settled. Sitharaman yesterday visited the Nathu La area on the Sino-Indian border and interacted with Army and Indo-Tibetan Border Police officials. Nathu La is the last post separating the border between the Sikkim on the Indian side and Tibet on the Chinese side. Sitharaman's trip was the first high level visit to the area after the 73-day standoff between Indian and Chinese troops at Dokalam in the Sikkim sector of the border which ended on August 28 following a mutual agreement between India and China. Of the 3,488-km India-China border which stretches from Jammu and Kashmir to Arunachal Pradesh, a 220-km section falls in Sikkim. The two sides have so far held 19 rounds of Special Representatives' talks to resolve the dispute. The Dokalam standoff began on June 16 over the PLA's plans to build a road in the area claimed by Bhutan after which Indian troops intervened to stop the construction as it posed a security risk to the 'Chicken's Neck' - the narrow corridor connecting India with its northeastern states. China, which earlier opened the Nathu La route for Indian pilgrims to visit Kailash and Manasarovar, closed it after the Dokalam standoff and is yet to reopen it.